There is nothing quite as sumptuous as well prepared space cake, combining a love for good food and good weed. So here is how you make one. A space cake is as awesome as it sounds. Imagine your favourite cake, but infused with the unbridled and buzzing power of cannabis! Pretty much ever coffeeshop in Amsterdam will offer space cakes in one form or another, and they have become increasingly popular with those who want to reach that high, but in a discreet and tasty manner. With this in mind, we have put together an out-of-this-world space cake recipe so that you can make your very own. 8 grams of cannabis bud, or the equivalent strength in either cuttings or hash. Any other ingredients you want to improve the cake with, such as cocoa powder, vanilla extract, dried fruit, icing/frosting, buttercream, chocolate chips, or anything else – your imagination is your only limit. Preheat your oven to somewhere between 104°C and 113°C. Place your weed (grinded) in an oven safe container. Heat it in the oven for 30–40 minutes. This will decarboxylate your weed, meaning that all cannabinoids become bioavailable. Put your butter in a bowl and place it in the microwave for 20 seconds. You want it to melt into a gloopy, pasty consistency. Mix your freshly ground up cannabis into the butter. Add all of the sugar, flour, milk, cannabis butter, eggs, plus anything else you want to your mixing bowl. Mix everything together until you get a batter with a nice even consistency. This may take a few minutes, but it will ensure your cannabis is spread evenly as possible throughout the cake mix. Note: if the mix is a little bit too dry, add a splash of extra milk; if it is too wet, add some extra flour. Grease your cake tin with non-stick spray, or line it with non-stick baking paper. Carefully pour your cake batter into the tin, spreading it around so that it is evenly distributed. Place your tin in the oven and leave for 25 minutes to bake. After 25 minutes, stab the centre of the cake with a skewer. If it comes out clean, it is ready, if batter sticks to it, leave the cake in the oven for another 5 minutes. Allow the cake to cool for about 20 minutes in the tin; then place it upside down on the wire rack and remove the tin, allowing it to cool for a further 30 minutes. Once cooled, decorate the cake with anything you want. Lemon Haze is a fine addition to any space cake. This potent strain gives off a scent of fresh lemon when smoked, a quality that enhances the taste of any delicacy with a citrus tinge. This sativa strain sets the mind into overdrive, opening the gates to creative ideas and increasing mood and focus. Eating a Lemon Haze space cake is a great idea before long periods of work and creative activity. Levels of THC range from 15–20% in this strain, with highs ranging from moderate to very intense. Within the first hour of polishing off a slice of Lemon Haze cake, the user will begin to experience the euphoric, uplifting, happy, and energetic high that the strain has to offer. Lemon Haze is a fairly easy strain to grow and offers rewarding yields. She reaches a height of just under 200cm and features a flowering time of 7–9 weeks. Her flowers are truly stunning and feature a shiny layer of resin alongside bright orange calyxes. Purple Queen gets her name from the stunning purple shades that are displayed upon her flowers and sugar leaves. The lineage of this indica-dominant hybrid stems from the Hindu Kush mountains and was introduced to the cannabis world by exploring strain-hunters. She is the offspring of parent strains Hindu Kush and Purple Afghani, and features a genetic makeup of 75% indica genetics and 25% sativa genetics. The powerful scents and tastes of citrus present within this variety add serious flavour to space cakes, giving them a fruity and zesty theme. Purple Queen produces THC levels of 22%, which makes for quite the experience when consumed in edible form. Her effects are primarily relaxing and euphoric, mellowing out into a full-body stone. Purple Queen favours a mild to warm climate and performs great both indoors and outdoors. Indoor plants yield between 450–500g/m² and grow to heights of 80–120cm. Plants cultivated outdoors within gardens will produce heavy yields of up to 700g/plant and grow to towering heights of 210cm. 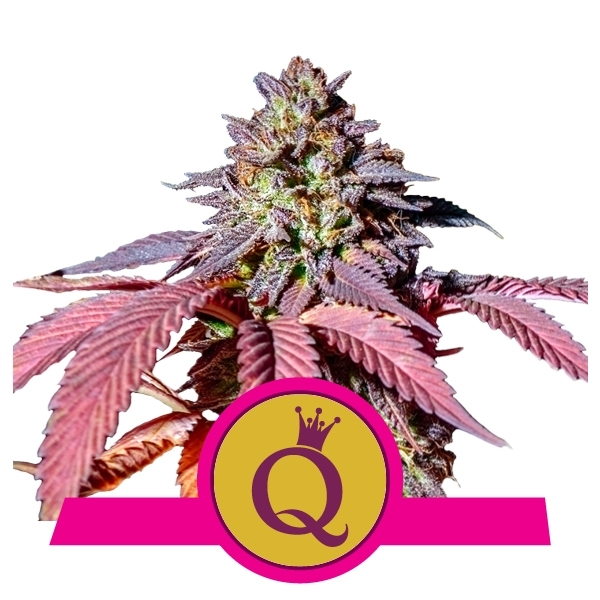 Purple Queen features an indoor flowering time of 7–8 weeks, with outdoor plants ready to harvest during October. Royal Cookies will add some serious kick to your space cakes. This potent lady produces THC levels of 23%, enough to satisfy the most veteran of cannabis users. This indica-dominant specimen is the result of a breeding project involving parent strain Cookies Forum, and contains 80% indica genetics and 20% sativa genetics. Her flowers give off scents of sweet nectar, adding such sugary tastes to the mix when used in baking. Eating a space cake loaded with Royal Cookies will produce a deeply stoning high that is both relaxing and euphoric—effects that will last for hours. Royal Cookies yields up to 525g/m² when grown indoors, reaching a height of between 80–110cm. Outdoor plants will achieve 500g/plant and stretch taller to 180cm, with flowers ready to harvest during the middle of October. She has an indoor flowering time of 8–9 weeks. Eating space cakes isn’t just about getting super high, it’s also about therapeutic effects for many users. This is where strains like Solomatic CBD come in. This interesting specimen is incredibly rich in CBD, with almost no THC present. She features around 21% CBD alongside 1% THC, allowing users to experience the beneficial effects of CBD without getting high in the process. These values have created an industry-leading CBD:THC ratio of 21:1. Eating these space cakes will offer a clear and relaxing sensation. Solomatic CBD flowers contain terpenes that create scents and flavours of sweetness, fruit, ginger, and pine—amazing additions to any space cake. 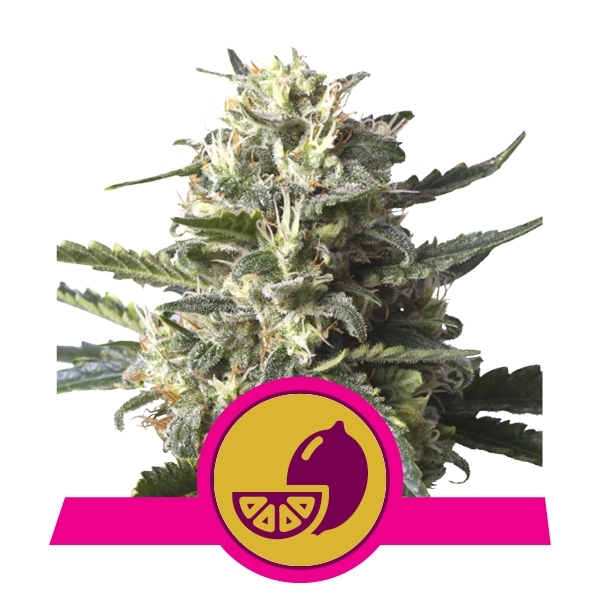 Solomatic CBD is very easy to grow and, as an autoflowering variety, does not require a change in the light cycle to induce flowering. Growers will be rapidly rewarded with a handsome yield as this strain springs from sprout to harvest in as little as 9 weeks.